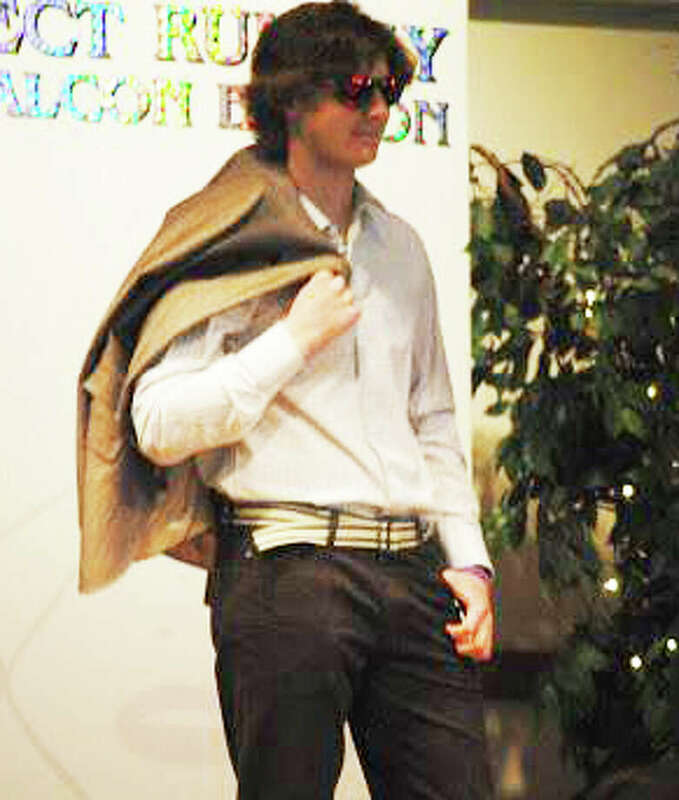 The Project Runway: Falcon Edition fashion show is Fairfield Ludlowe High School PTA's biggest annaul fundraiser. Justin Knowles was a model in last year's show. Members of the Fairfield Ludlowe High School senior class and some of the school's faculty will hit the catwalk on Sunday, March 2 at 1 p.m. for the seventh annual Project Runway: Falcon Edition fashion show. The event is the largest annual fundraiser for the Ludlowe PTA. Fairfield Ludlowe's Headmaster Greg Hatzis will serve as the master of ceremonies. Almost 80 seniors will serve as models and several faculty members including Didi Bourque, Kevin Cotellese, Dave Schultz, Colleen Sousa and Stefanie Weise will also model. Trendy fashions will be worn from local businesses including Apricot Lane, the Authentic Athlete, Capri, Dress Code, GAP, Island Outfitters, LeTarte, Loft, Splash of Pink, Teen Scene, and Men's Wearhouse of Trumbull Mall. The fashion show will be accompanied by Ludlowe musical ensembles Deckhardt Quartet Jazz Band and the Close Harmony a capella group. The show also offers special refreshments made and served by Ludlowe culinary arts students under the direction of Rachel Keleher, and several raffles. Co-chaired by PTA members Debbi O'Keefe and Maria Martucci, the fashion show was put together by many volunteers who orchestrate the models, apparel, advertising, decorating and promotion and student volunteers the day of the event. "For the retail community to come together and support our students and high school this way is extraordinary. I only hope everyone in the community remembers to support these local retailers just as they have supported us," O'Keefe said in a release. Tickets are $20 for adults and $10 for students. To purchase tickets online visit www.flhspta.com and click on the link "PTA Store," then "Project Runway." For more information, contact Debbi O'Keefe at debraokeefe@optonline.net or 203-913-1022.